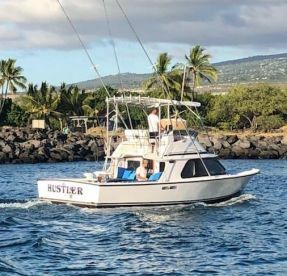 Onaga is arguably the most sought-after Red Snapper Hawaii has in its waters, where it belongs to a desirable group of bottom fish known as the “Deep Seven.” Often referred to by its Japanese name (Onaga), this fish may also be called ula`ula koae. 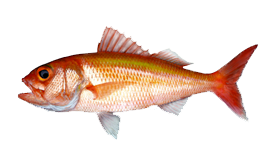 In other parts of the world, it’s often referred to as Ruby Snapper, Scarlet Snapper, or Longtail Red Snapper. 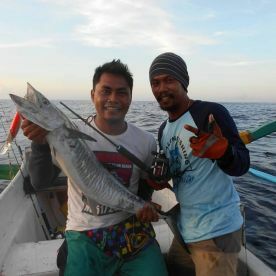 Whatever you decide to call it, this is one fish you don’t want to miss out on! 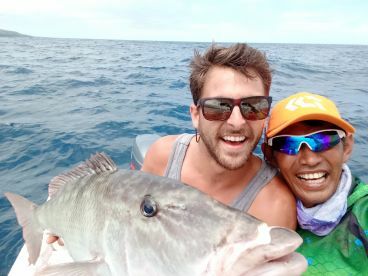 Onaga can grow up to 3 feet long and weigh up to 30 pounds. Onaga inhabit a wide range across the Indo-Pacific, from northern Australia to Japan, west to Africa and east to the Hawaiian Islands. These bottom fish tend to swim in water between 600–1,000 feet deep, around rocky structure and continental shelves. 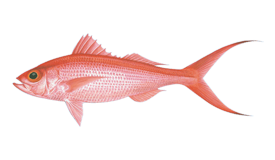 It’s common to target Onaga in Hawaii between October and March. The season to harvest Deep Seven bottom fish closes each year, usually during summer. Depending on where you fish and the local methods, you’re likely to catch Onaga while drifting or bottom fishing. In Hawaii, anglers target this deep-dwelling Snapper using deepwater handline gear with electric reels. Onaga make a fantastic meal, whether steamed, sauteed, or served raw as sashimi. Their meat is soft and moist. In Hawaii, Onaga sashimi is traditionally served on special occasions such as New Year’s and weddings. Ehu, a relative of Onaga and another member of the Deep Seven, is a good substitute when you can’t get your hands on fresh Onaga!